Saw this in Hongdae last Sunday. Comic books and kitsch are all the rage in Seoul these days. I like the fact that this popular cover-turned-tee turned up here in Seoul. I need to track down where these are sold, although Dongdaemun is the usual suspect. 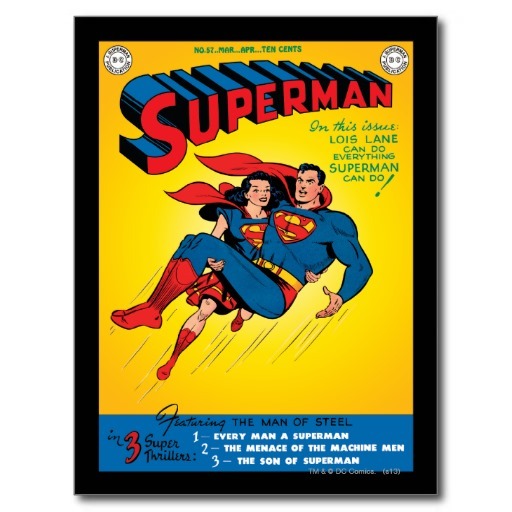 "In this issue:Lois Lane can do everthing that Superman can do." 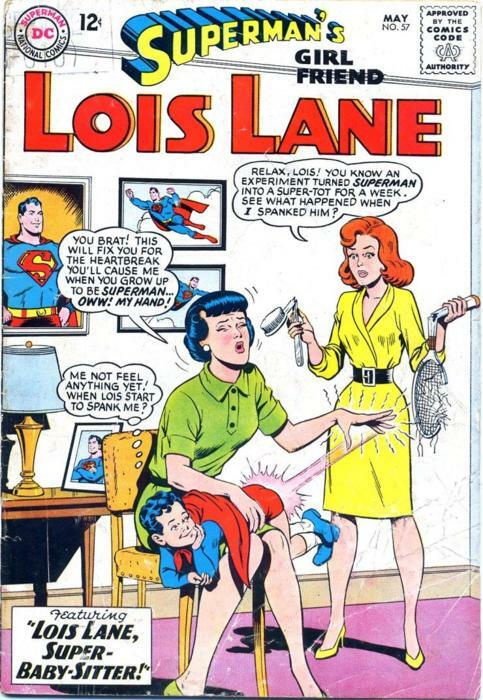 A role-reversal, although not really challenging gender role-norms. Got a football jersey in there with player number on the flautist, as well as a stark capital A on a flowery, girlish print with the gayageum player (the girl playing the thing that looks like a harp on its back). And of course, the ubiquitous hot pants that all young girls not in a convent must wear here. Besides just winner teams such as the Eagles -- which surely a pronto moda house in Dongdaemun picked up on very recently from American sports follies -- aren't the only teams and things found on women's jersey tops around Seoul. An actual sports Jersey meets snobgirl faux classism, with oversized, allcaps lettering on the skirt. We also have pictographs meeting faux Boy London here. Which brings us back to "LONELY." And back to the first fashionista who started both my thinking on this trend and this post, when you combine an actual, full-on football top with a conservative, school uniform-eque collar, coquettishly quaint miniskirt, along with thick socks and sandals, you get interesting things going on. I ran into this very sporty young lady while catching a taco after my run to the bank. since I've been keeping an eye out for especially sporty outfits this summer, I couldn't help but ask for a portrait. And I happen to bump into her again when I circled around to go back to my office, at which point I got a candid shot as well. I also took the opportunity to officially ask her, as the representative of all Korean women wearing summery outfits with stockings, why young Korean women like to wear stockings in the summer, which is a question sometimes foreign women ask me. the answer I got from her in Korean was to have a "보정된 느낌," which means to basically cover and smooth out the look, actually explained to me. It covers bruises and other marks and make everything look clear and even, she explained. of course, many non-Korean women will remark that wearing stockings kind of defeats the purpose of wearing cool clothing in the summer, but remember, appearance seems to trump comfort here in South Korea. A GREAT dress caught during the noontime lunch hour in Yeouido. So full of pleasant Korean contradictions. It's demurely conservative with the high buttons and covered shoulders, but with a pretty high hemline, and yet there's a hint of wanting to cover even the neck, but the whole thing is still almost as form-fitting as a cocktail dress, for the most part. As full of seeming contradiction as Korean femininity itself does these days. There's a lot going on here that I can see. There's that sports jersey thing that's been going on lately on otherwise demure women's clothing, except this time on the skirt. There's the socks with sandals thing, and the typically really high skirt is coupled with an almost puritanical coverage on top. Oh, and we can't forget the bad English on the skirt. "Weird but adore" is an attempt to appeal to a sense of consumer individualism as a way of putatively allowing people a means of self-expression and "being different," to put an Apple spin in things. But hey, despite the fact that I think it's weird, I adore. Therein lies my conflicted view on Korean female fashion and the particular way Korean women of perform gender identity. From eHow, but a helpful look at the structure of a general fashion report. Take a look here. 한국 최초의 그리고 유일한 독립 온라인 패션 매거진 feetmanseoul.com이 서울 의 라이프와 패션에 대해 근사하면서도 도발적인 사진들과 인터뷰, 에세이로 가득 찬 영문판 대형 사진집을 출간했습니다.. 마이클 허트(Michael Hurt), 데니스 르카(Denise Lejcar) 등 2명의 외국인 작가로부터 쓰여진 이 책은, 한국이 대외적으로 보여주고자 하는 이미지가 아닌, 실제 외국인에게 보여지는 한국의 이미지를 담은 최초의 출판물이라고 할 수 있습니다. 저자 마이클 허트는 국가 브랜드 위원회의 일원입니다. 그런 의미에서 이 책은 단순한 이론적 제안이 아닌, 국제적인 관점에서도 주목 받을 만한 한국의 문화 컨텐츠의 힘을 보여주는 구체적인 실례입니다. 한번 보면 그만인 패션잡지들과는 달리 묵직한 이 사진집은,사이트에서 볼 수 있었던 이미지와 책을 위해 제작된 새로운 이미지들이 종이에 인쇄되어 모니터로는 나타낼 수 없던 것들을 보여줍니다.예리한 눈을 가진 패션 정보통들이 공감할 수 있는 이 책은 어머니들의 한복이나 고궁의 풍경을 담고 있지 않습니다. 거리와 런웨이 패션의 접점에 초점을 맞춘, 두 패션 세계를 완벽하게 담아낸 작업입니다.서울에서 열리는 주요 패션쇼들의 “룩북”과 사진 에세이, 신진 디자이너와 홍대 거리에서 볼 수 있는 개성 넘치는 친구들의 이야기들이 있습니다.서울에게 가장 활발하게 활동중인 두 사진작가가 만들고 일년에 두 차례 발행될 이 책은한국의 패션과 스타일에 관한 현재진행형 개론이다.또한 60달러면 손에 넣을 있는, 한국 패션의 과거와 미래에 대한 기록이 될 것이다.미래를 예측한 미리보기가 아닌 지난 시즌의 기록이기 때문에 각 판은 현재 시즌의 이름으로 발행될 것이다.예를 들어 2008년 12월에서 2009년 1월에 나온 책은 “Seoul Fashion Report F/W2008”이 된다.Seoul Fashion Report는 순식간에 지나가 버리는 일시적인 유행을 쫓아가다가 다음 호가 나오면 버려지는 잡지가 아닌 소장가치가 있는 예술작업이 될 것이다. 우리를 지원해주는 PLATOON KUNSTHALLE이란 복합문화공간이 p/t와 파티를 해주는데 시설과 빌딩이 너무 멋져서 노치시면 정말 후회할 거예요. 28개의 컨테이너가 모여 새로운 형태의 건축물을 구성한 플래툰 쿤스트할레의 모습은 그 자체로 상징적인 의미를 담고 있다. 일상품 보관과 수송에 사용되고 구조가 가변적인 선박 컨테이너는 그 어떤 건축물보다 이동이 자유롭고 세계로 옮겨진다. 이는 기존 화이트 큐브의 고정된 미술관이 담아내지 못했던 다양한 문 화를 자유롭게 소화할 수 있는 최적의 공간이 바로 이곳임을 보여주는 것. 플래 툰 쿤스트할레에서는 전세계적으로 전개되는 흥미로운 예술적 화두가 제 시되고, 비판적 메시지가 반영된다. 또 일상 생활에서 쉽게 지나칠 수 있는 일들에 대해 문제의식과 논쟁적인 관계를 이끌어가는 현재의 공간이다. 그리고 그 관심의 중심에는 ‘서브 컬처’가 있다. 고전적 개념의 순수 예술 범주에 국한되지 않으면서도 다양한 형태로 존재하는 동시대의 창조적 표현을 포괄하는 용어로 사용되는 서브 컬처. 이는 비록 스트리트 아트, 그래픽 디자인, 클럽문화, 음악, 비디오아트, 프로그래밍, 패션, 정치적 액티비즘, 등 순수 예술과는 다른 영역에서 활동해 온 사람들에 의해 태동되었으나, 창조적인 방식으로 각자의환경에 관심을 가지고 그것을 새롭게 주조해 가려는 욕구를 공유하고 있다. 책자는 행사시 저자의 친필서명과 함께 할인된 가격으로 60,000원에 판매될 예정입니다. Feetmanseoul.com, Korea's first and only independent online fashion magazine in English, has produced a large photo/art book filled with gorgeous and provocative pictures, as well as original photo stories, interviews, and essays about Seoul life and fashion. Produced by two non-Koreans, Michael Hurt and Denise Lejcar, this is also a prime example of how Korea is actually seen by foreigners, as opposed how Koreans want Korea to be seen. Michael Hurt is also a member of the Presidential Commission on Nation Branding (국가브랜드위원회), so this book is more than just a theoretical suggestion by one of the board’s members, but is actually a concrete product that shows the true power of Korean “cultural contents” if they are presented in a way that is truly of interest to the international audience. Beyond the feel of a disposable fashion magazine, this coffee table book possesses real heft, with large, heavy pages that present many images from the site, along with new ones produced just for the book, all of which will be presented on the printed page in a way that the computer screen can't do justice to. Ours will be the only source of fresh, art book-style images of Korea, presented in terms that smart hipsters can understand -- these aren't your mama's hanbok and palace pictures, but the absolute best shots from both the street and high-fashion worlds, with an emphasis on how real street fashion meets the runway. It will include a "lookbook" of Seoul's major fashion shows and other high-fashion events, along with original photo essays and feature stories on everyone from hip new designers to the punk kid on the streets of Hongdae; this will quite literally make the "Seoul Fashion Report" a style diary of the city, as well as a living document of the Seoul city streets. This bi-yearly book will be an ongoing compendium of Korea's best style and fashion images, shot and laid out by two of Seoul's most active street and runway photographers, who happen to also be non-Korean; it will also be a continuing record of the past and future evolution of Korean fashion, all available in readers' hands for $60. As a record of the past season and not a preview of the next, each edition will bear the name of the present season, e.g. an edition delivered in Dec/Jan of 2008-09 would be called "Seoul Fashion Report F/W 2008." The Seoul Fashion Report is designed not as a magazine that tracks fleeting fads and is thrown away when a new edition appears, but as something to be collected as a work of art -- and fashion nostalgia -- unto itself. The PLATOON KUNSTHALLE in Nonhyun-dong is hosting the presentation and afterparty, so it will be informative, intellectual, and fun! The PLATOON KUNSTHALLE is built of 28 iso cargo containers. as icons of a flexible architecture in a globalized culture, the stacked containers form a unique construction that can be rebuilt anywhere else any time. As PLATOON KUNSTHALLE is located in the Cheongdam area, the confrontation of subculture with the close-by design houses, commercial galleries and luxury brand stores creates a tension and interaction between the two worlds. I confirmed my legal theories on the ground, with some cops.